Invite: Do you want to teach your kids to be kinder to their siblings? These 8 tips on how to raise our kids to be kind to their sisters and brothers will help your family. Would you like a sip of lemonade before I finish it? What show do you want to watch? It’s your turn to pick. Here, you can use my eraser. I’m getting juice. Would you like a cup? What’s so miraculous about these simple statements? Well first, they’re kind. Just everyday, normal statements that are kind. Second, they were said by kids. And unprompted kind statements from children make my heart leap because it’s getting a peek into their little sweet, giving souls. But most importantly, they were said by one of my kids to another one of my kids. Because all the effort and all the reminders and all our discussions on kindness is working. It’s sinking in. Now does it work all the time? Are my kids kind to their siblings every time, every day? Are they perfect? But genuine, real acts of kindness are popping up in my house and happening without prompting, reminding, or cajolling my children. And they’re happening more often. But these quiet and simple moments of kindness didn’t happen by magic or by crossing my fingers. Raising kind kids takes work. Hard work. On purpose, intentional parenting to ensure my children remember to be kinder to everyone, but especially their siblings. I want my kids to be kind to their siblings for a myriad of reasons. I want them to enjoy being together. I want them to create a strong relationship now that will carry them through into adulthood. And I want a more peaceful home…We live in a small house. My kids share rooms. They share toys. They share our space. And I hear everything. I’m around all their interactions and I’m party to all their disagreements due to the thinness of our walls. So besides the fact that I genuinely and truly want them to be kind people, and I want them to have positive interactions with their siblings, I also don’t want to be living with and surrounded daily by unkind little people who shriek mean things at each other. But since they’re siblings and they live in tight quarters with people who push their buttons, the meanness can come out. And at home, my kids know they can let their hair down. They’ve been on their best behavior all day long at school and soccer practice and on the playground. So when they get home, they’re often tired and cranky and they take it out on the people nearest them: their siblings. So please don’t think for one second that it’s all sunshine and rainbows around here. We’re shooting for genuine, real, chose-to-be-kind-because-they-wanted-to interactions. And those simply don’t happen all the time. But I’ll tell you what. They’re happening more often. It’s becoming more of a go-to reaction for my kids. 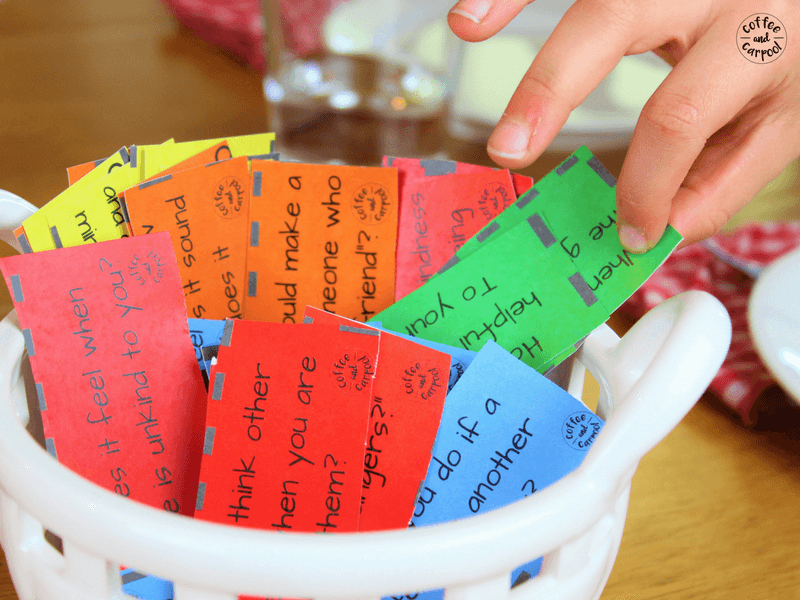 Is Teaching Kids How to be Kind a One-Time Event? Some kids are pre-dispositioned to be kind. Other kids- like my kids– need to be explicitly taught how to be kind. They need to be shown what kindness looks like, what it sounds like, and what it feels like. So it takes time. And it takes repetition. And it also takes patience to help our children learn to think of others, to place themselves in someone else’s shoes, and to choose to be helpful. We have to rewire our kids’ brains and throw some positive “brainwashing” in so kindness becomes their knee-jerk reaction. It becomes their go-to response. And it feels natural to them. But this whole process of teaching our kids to be kinder to their siblings can take longer than we want it to. Because in the process of intentionally, and on purpose raising kind kids, it’s not always going to be sunshine and rainbows. I’ll be kind if you’re kind. You’re not being kind to me so I’m not going to be kind to you. Why should I be kind to her? She’s so mean. I’m not expecting perfection from my kids. But I do expect them to be getting kinder to their siblings over time. 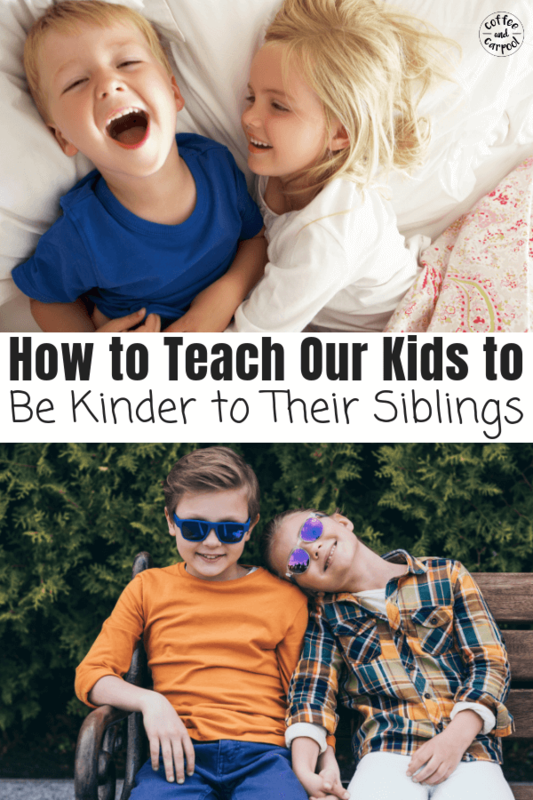 We want our kids to be kind to their siblings. To choose to be kind. To realize it feels good to be kind. Kids won’t want to be kind to people they genuinely dislike. So to ensure my kids actually like each other, we spend time creating strong sibling relationships. We diffuse jealousy and competition and increase their collaboration and sense of being in a “club” together…a siblings club. 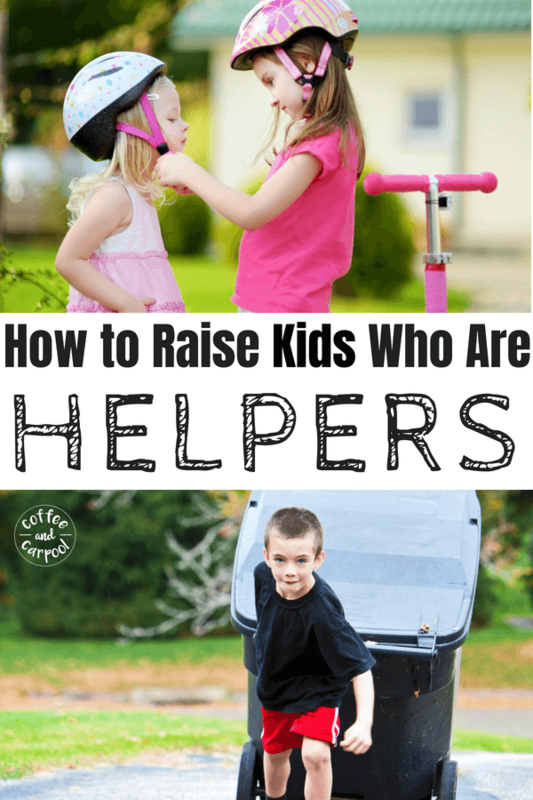 Want to help your kids connect with each other as siblings? 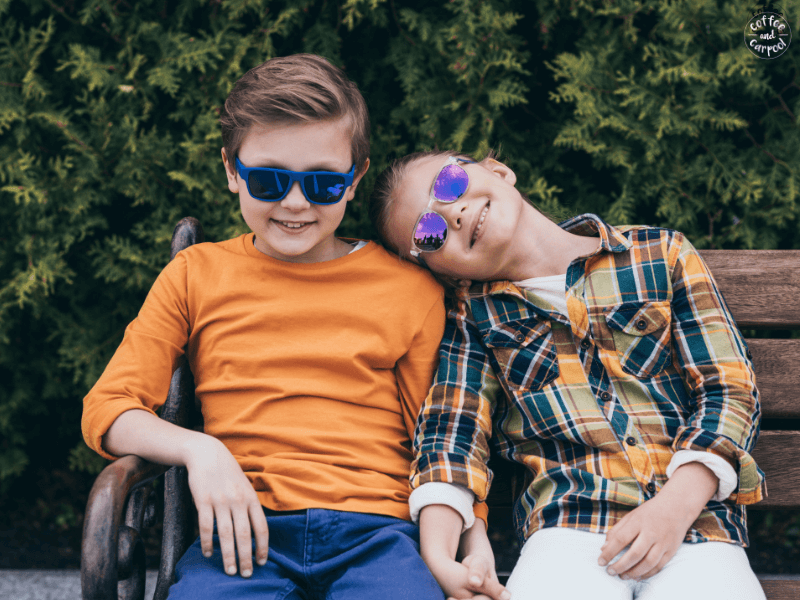 Here are 18 powerful ways to help your kids connect with each other and create positive sibling relationships. We have also made them Sibling Books they love to share and read together. Related: Have a new baby joining the family? 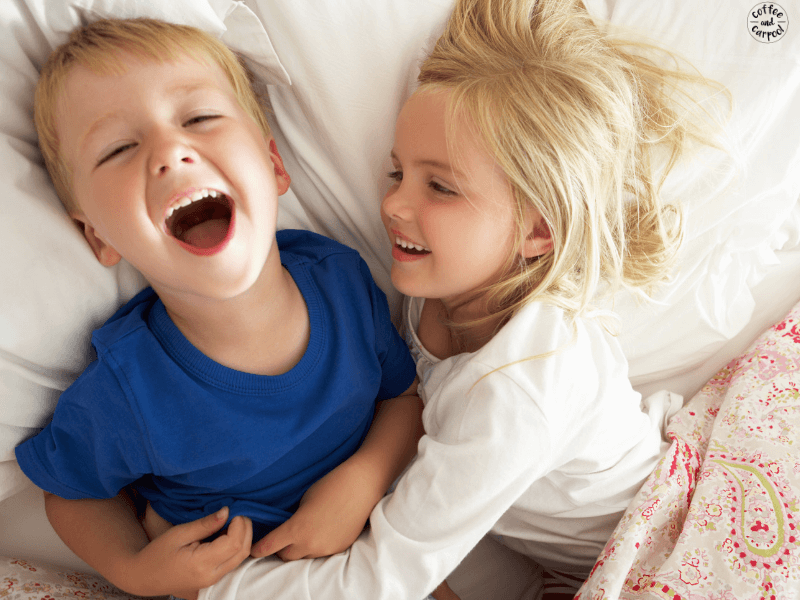 Read this article from Messy Motherhood on helping older children connect with their new siblings and prevent sibling jealousy. Kids who feel they don’t fit into their family or have to compete for love, attention, and respect will be unlikely to show kindness to anyone in their family. When we take the time to build a strong family identity, our kids will feel secure in their place in our family. And when they feel emotionally safe and like they really belong, they will let their guard down and not feel like they need to compete, elbows out with anyone they live with for what they need. They will have no reason not to be kind. We talk about kindness often. We point it out when we’re watching TV shows and movies together. We talk about it when we read books. And we talk about kindness in the car and around the dinner table. 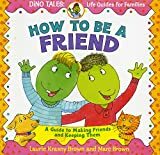 We use these 60 Discussion Starters to start conversations about being a good friend, being a helper, being mindful of others, and including others. Get them here for your family. One simple way to talk about kindness and what makes someone a kind person is to read books with kind characters. If you have a reluctant reader who loves a book with an unkind character, you can use that to your advantage and talk about their unkind actions. Want more books on kindness? Click here. Our kids are watching and listening to our every move. So if we want to raise kind kids, we ourselves need to be kind to others. We need to offer someone to cut in front of us in the grocery line when they have one thing and we have 100. We need to hold the door open for the people behind us. We need to help our neighbors bring in their trash cans and newspapers. Show them how to be considerate and mindful of others around them. Because our kids are watching. They will emulate us. They will do what we do. So we must act with kindness. Kindness is so important in our family we’ve made it one of our only two family rules. Because being kind covers backtalk, sarcasm, mean words, mean tone, “bad” words or profanity, teasing, ignoring me or siblings, physical hurting of any kind, turn-taking,sharing, helping someone,thinking of others, not hurting feelings, thoughtfulness, including siblings in play or activities, standing up for siblings, and using manners. To help my kids remember to stay kind and to choose kind, we have “banned” these 15 surprising things in our home. These 15 things are highly discouraged and warrant reminders that we do not do these things in our family because these 15 things hack away at kindness. Spend time on active kindness activities with your family. We love the kindness rocks project, Random Acts of Kindness, volunteering, and kindness challenges. Or get the Kindness Elves to visit your kids- The Kindness Elves are sweet little elves that come to your home and bring kindness ideas your kids can act on: bring in the trash cans for your neighbor, take cookies to your local fire station, bring a coffee to your teacher. All of these things will encourage your kids to choose to be kinder to their siblings more often. Will they be kind immediately? Nope. Will they always remember? Nope. Will they never fight or argue with their siblings? Nope. And they will eventually remember. And the bickering will happen less and less often. There will be more sunshine and rainbows. And that is cause enough to throw more parties.